Somewhere in the deepest bluest basement in New York city is a Jiu-Jitsu Mastermind training a group of people with a specific set of grappling skills. If you’re familiar with Brazilian Jiu-Jitsu, especially the competitive submission-only scene, then you would have come across the term “Danaher Death Squad”. This team have taken the no-gi game and turned it on it’s head, while everyone chases after their latest systems, they’re moving on and evolving into something new. But who’s part of this group of murderous grapplers, and how are they so successful? John Danaher is the mastermind behind the squad that became so successful, it was named after him. John Danaher has a pedigree of coaching high level fighters, before he focused oh his students submission game he was training Georges St. Pierre to UFC championships. But after the hay-day of the UFC, John spent a lot of time in the Renzo Gracie academy gym perfecting his systems that would define his legacy in the combat sports world. 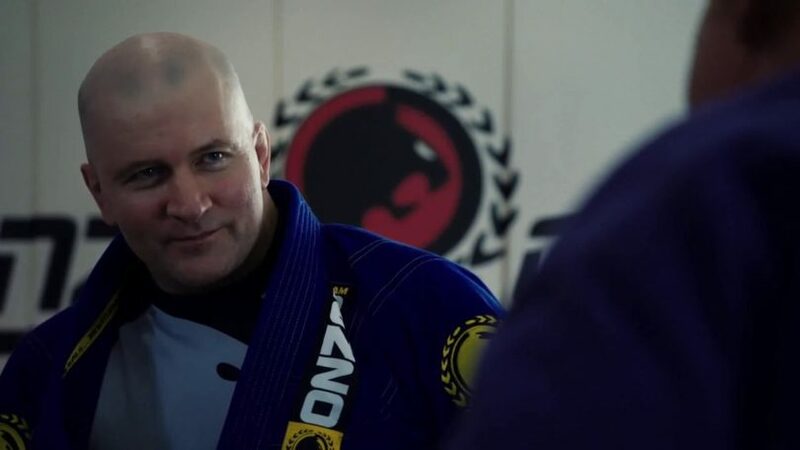 When John Danaher’s team burst onto the scene they were known for their detail knowledge of the ashi garami and how it can be used to finish leg locks but as the team’s success grew, so did the gap between the team and other competitors as they started to study how their system was implemented and how counters could be formed. However, while people were focusing on the leglock game, John Danaher and his team have been cooking up new systems to beat their opponents. 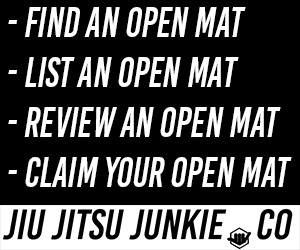 It’s said there are currently 4 systems developed by John Danaher, with more to come without a doubt. In September 2011, a blue belt named Eddie Cummings began to show up to the Renzo Gracie Academy in New York city. Originally taught by Krishna Mirjah, Cummings came to the academy with a strong guard game, which consisted of an already deep understanding of deep half-guard, Z-Guard, X-Guard and Single-Leg X-Guard. This was mostly down to his teacher’s guidance and watching instructionals from Ryan Hall. Cummings would begin his training with John Danaher with his morning classes, which allowed him to train with some of the best Brazilian Jiu-Jitsu Black Belts in the world. Fighters such as Doug Pelinkovic and Mike Jaramillo would influence Cummings’ game with their Achillies locks from the outside ashi garami position. Another black belt named Aaron Milam was also a huge influence on Eddie Cummings. Milam was described by many in the gym to be one of the most diverse and creative black belts under John Danaher. Milam’s ability to pass guard and play guard effectively was his key to controlling and submitting opponents and training partners at will. It would be Milam’s leg locking fundamentals, which are now replicated in almost every BJJ gym around the world. Concepts such as outside knee reaping, which is banned by the IBJJF, became a staple in his submission system and something which would eventually be passed onto the current team. In 2013 Eddie Cummings, now a purple belt under John Danaher, would me up and coming brown belt Garry Tonon at Gianni Grippo’s competition class are Marcelo Garcia‘s New York academy. At the time, Tonon was training under Tom DeBlass, who was also a student under Danaher. Garry’s submission game wasn’t fully formed yet and his most notable achievements were many IBJJF accomplishments, including NoGi Worlds and Pans at Brown Belt. At the ADCC qualifiers, Tonon and Cummings would end up in the same division, but would never meet after Cummings’ crashes out in first round after loosing too MMA fighter Vagner Rocha. However, Tonon would go on to win the division after finishing Rocha from the back in the final. Soon after, Tonon would start to travel more from New Jersey to Renzo Gracie’s Academy to prepare for ADCC 2013. During this time Cummings’ would be found studying instructionals from Ryan Hall, Reily Bodycomb and Scott Sonnon, with an intense focus on the leg lock game. The two would be found drilling positions from the Saddle position, which would be later named too Inside Sankaku by Danaher. After class Cummings, Tonon and Shohin Gafarri would be found drilling these positions, experimenting with control and submissions. When Garry was promoted to Black Belt by Tom Deblass in October 2013, he became a regular attendee to Danaher’s RGA classes. This regular attendance would pay off after his submitted Kit Dale at Metamoris. Tonon went on an invitational rampage, winning the Eddie Bravo invitational, Polaris and other competitions, all with Cummings by his side. During this time, he would also be joined by the late Anthony Bordain’s wife at the time Ottavia Bourdain, Jeffery Chu and Jonathan Calestine. Around 2015 Garry would start bringing his good friend and training partner Gordon Ryan to RGA classes, closely follow by Gordon’s younger brother Nicky Ryan. These two would regularly attend classes alongside Garry and would also have additional privates. Around the same time Ryan Quinn would coin the term “Danaher Death Squad” on Reddit’s BJJ subreddit, this would then be followed by Otavia, who would start using the term on Instagram. After Gordon Ryan began to see the same success as his colleagues the term would go from an anecdotal quip, to a term that would describe this elite group of submission grapplers. Since the beginnings of Eddie Cummings and Garry Tonon, the squad has seen many members join it’s ranks, this now includes Gordon Ryans younger brother Nicky, who has also been on a tear up on the submission only scene, with wins of Geo Martinez and Phil Harris at Kasai and Polaris, even though he is a purple belt, he can grapple with the best black belts in the world and come out victorious. After Eddie Cummings dropped out of the recent EBI 15 event, he was replaced by his team mate John Calestine, who would go on to win the entire tournament as a relatively unknown fighter. Canadian Oliver Taza is another member of the team, who has been seeing a lot of success under Danaher. Recently winning his match at Polaris, he will face off against rival Ross Nicholls for the Polaris Belt. Other notable members of the squad include former UFC fighters Jake Shields and Tom Deblass.